Skinade is a multi-award winning, natural peach and mangosteen flavoured anti-ageing collagen drink containing a patent pending formulation of active ingredients that boosts your body's natural production of collagen and hyaluronic acid. Skinade improves the way your skin looks and feels in as little as 30 days. Skinade has been developed by leading UK scientists and is designed to provide a perfect ratio of liquid to active ingredients to create one of the most advanced, effective and bio-available anti-ageing skincare products on the market today. 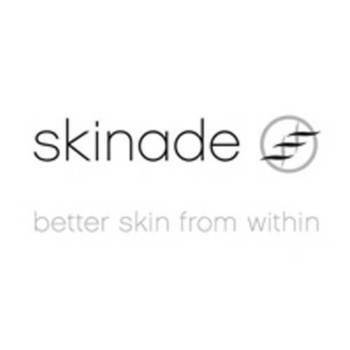 Skinade is an alternative approach to your skincare regime - a drink that works from the inside out.